All three services use the same color scheme when you activate the traffic overlay--ranging from green for no problems to black for "you're not going anywhere today." Nevertheless, we noticed some stark differences in how well the three services' traffic outlooks work. The clear leader here is Google. 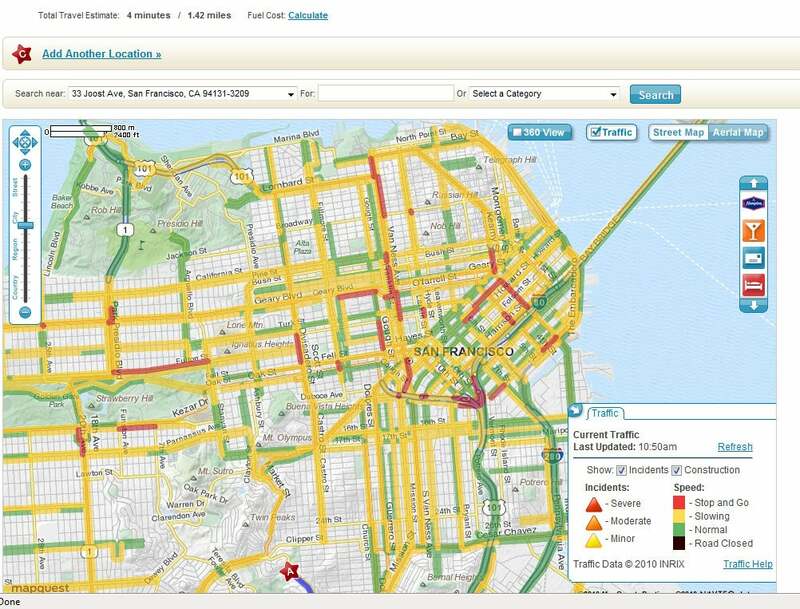 It has the most comprehensive traffic data (based on number of streets covered) and the clearest presentation of information. Google Maps makes it easy to get a quick look at traffic before you head out of the office for home--and its unique ability to change the overlay from live traffic to projected future traffic based on historical data can be a lifesaver when you have a congested route ahead of you. The overlay lines showing MapQuest traffic data are difficult to interpret. MapQuest's street coverage is nearly as comprehensive as Google's, but its information is extremely difficult to read: The overlay lines are so wide that you may not be able to tell what street is being highlighted. And since red and green lines can sit side by side, the resulting confusion can pose a serious problem. Even more troublingly, MapQuest's traffic data is sometimes clearly wrong. Compared to the comprehensive traffic on Google and MapQuest, Bing has a very limited traffic system, restricted to freeways and a handful of city streets. We occasionally encountered problems where traffic data wouldn't show up at all on certain sections of road unless we zoomed in or out--and because Bing's lines are drawn so thinly, traffic can be hard to make out without squinting at the map. (Even figuring out how to turn on the traffic overlay in Bing is tricky; you need to click the stoplight icon in the bottom left corner.) The biggest positive that Bing can claim is its coverage of accident and construction issues: These are clearly noted on the map and are more comprehensive than those of any other service. Not driving? 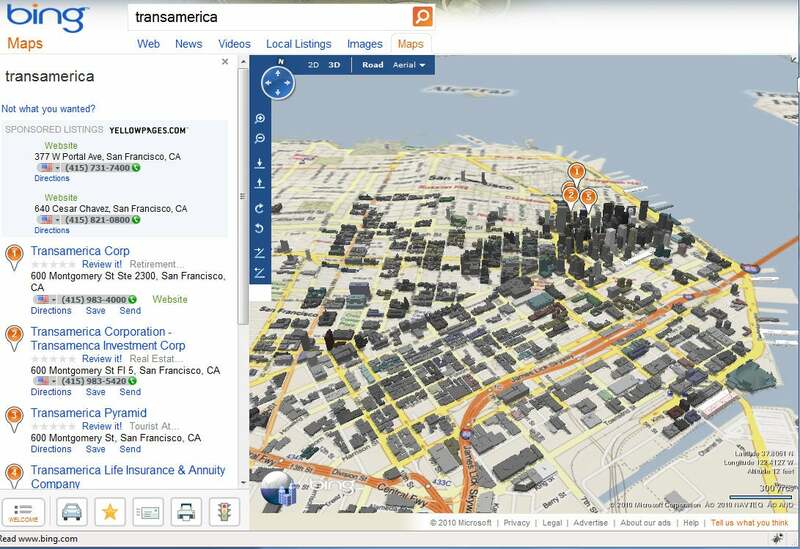 Modern mapping services can get you there on foot, by train, or via bicycle. Well, most of them can. Google Maps' biking directions (still in beta) need some work. When it comes to alternative transit, Google once again is ahead of the game. Google Maps offers clearly labeled pedestrian, public transit (bus/train/subway), and even bicycle directions; and switching among them when you display a map is easy. Foot and public transit directions are generally spot-on, but bike directions (still in beta) need work, as they often route you far out of your way to get to a street with a bike lane--even if that street is busier than any on the more direct route. Bing includes public transit directions as an option, but Google's are slightly better because they identify the price of your bus tickets. Bing comes up short on recommendations for walking to a bus stop: A dotted line crosses through buildings instead of guiding you along the best streets to take. Bing's walking-only directions (sans bus ride) are just as good as Google's, though. MapQuest offers one set of directions, designed for cars, and nothing else, which reduces its usefulness for people walking, bicycling, or using public transit to something close to nil. In 2007, Google pioneered the Street View system, which lets you see a photo of what your destination will look like when you're staring out your car's window and wondering if you've reached the right place. Three years farther along, Google's Street View has achieved amazing depth of coverage, and though the pictures tend to be grainy, even obscure byways are likely to have full 360-degree imagery associated with them. The picture is somewhat murkier on MapQuest. Its 360 View service is available on far fewer streets; and unlike with Street View, you can't zoom into photos to get a closer look. Still, it's passable in a pinch and is certainly better than nothing. Bing Maps' new Streetside service has the best-quality images of all the services, but if you find a street with actual coverage, you're lucky. Bing has left entire cities unphotographed so far, and in those locales drivers who rely on Bing are out in the photo-free cold. Bing's 3D interface is optional. While not immediately practical, it's fun to use. That said, Streetside is an extremely promising project, as is its (optional) 3D interface, which takes you out of the street level and up to a bird's-eye view on command, complete with pan/zoom/rotate functions, to present a fancy CGI rendition of your destination--or of the entire city you're in. It may not be so practical, but it's certainly cool to play with. • "Strangest Sights in Google Street Views"
Here, we look at each mapping service for intangibles that could elevate a service above the competition. Both Bing and Google Maps link businesses to searches, so when you type in an address, a list of businesses at that location pop up in the left-hand column. Bing's listings are more comprehensive and accurate than Google's, but Google adds user reviews of the business listings directly within its results (Bing doesn't have this feature). 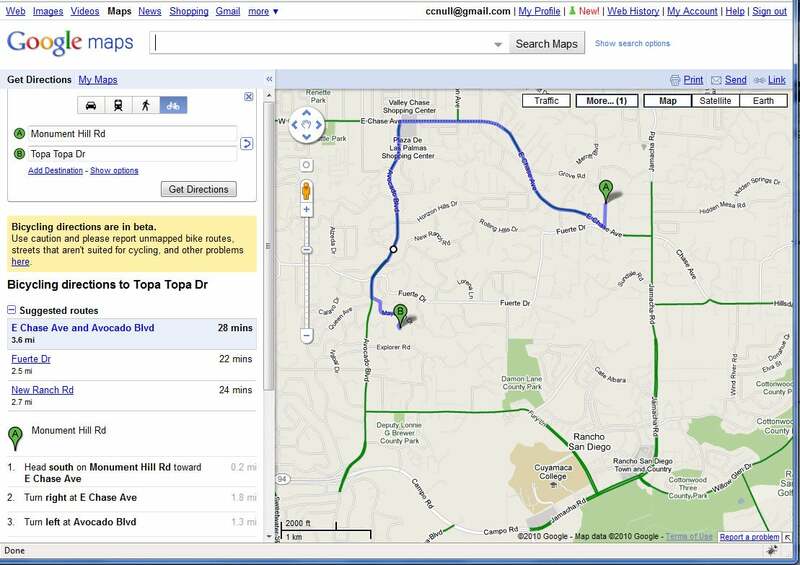 MapQuest doesn't provide business listings, but it does have two features that its competitors lack: a mildly useful 'gas prices' function that lets you find cheap fuel nearby, and the ability to rearrange destinations on a multiple-stop trip (input by the user) to produce the most efficient route. Google Maps is our clear winner, winning almost every test category we looked at. But Bing is a strong up-and-comer that will undoubtedly benefit from a larger database over time, especially with its Streetside project. As for MapQuest, its age is definitely showing. We hope that its upcoming new version will pay off and make it a strong contender once again. • "Mapquest 4 Mobile Adds Free Voice Navigation"